Make sure the board is turned off. Remove your SSR from the output pins. Connect the V+ pin of the PIR to Vdd on the Board. 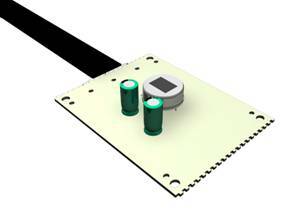 In this program, you will learn to program the PIR sensor to turn on and off and communicate with your debug window. The program considers the length of time the sensor needs to recover. ‘time to go low again. 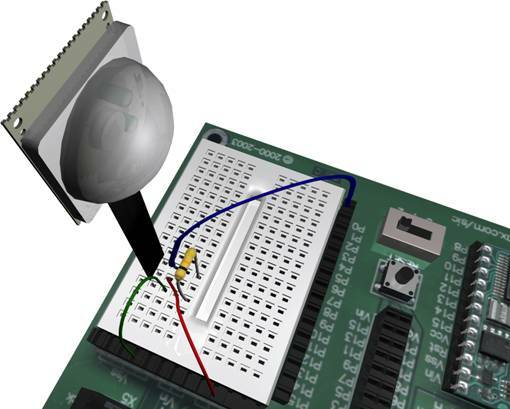 In this activity, you will turn the PIR sensor into a shotgun sensor. 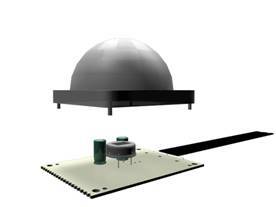 The PIR, with the Fresnel lens, allows you to mount this sensor on the ceiling and see in a full 360-degree area. However, what if you wanted to sense in only a 180-degree area? Well, one trick is to paint out portions of the Fresnel lens. For example, in order to allow it to see only 180 degrees, you would paint out half of the sensor. I recommend acrylic paint for this and make sure it is thick enough to block the infrared heat from you infrared sources. You can also change the sensor into a shotgun sensor by putting a piece of brass tubing 3/4 inch long over the heat sensor. Carefully remove the Fresnel cap that is covering the sensor. You will notice a round can-shaped form with a rectangular window. Notice, as well, the capacitors on each side. 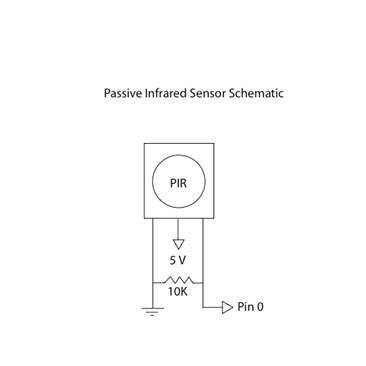 PIR sensor with a small tube of one inch long cut to fit over the cover of the sensor. It must slip over the sensor can and be careful not to use glue here as it can creep onto the sensing window of the PIR sensor. Now, take the Fresnel lens, put it over your eye, and turn your head while looking at a light source. Notice how the light jumps from one window to the next in the lens? When the lens is attached to the sensor, this is how it is imaging infrared heat onto the can-shaped pyroelectric sensor inside. Place the small tubing that came with your kit over top of the sensor. 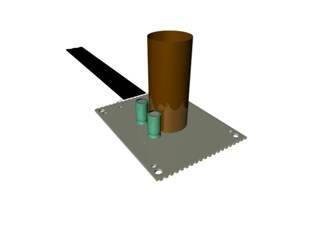 Run the program entered previously and notice how the sensor will only sense in a narrow beam where you point your tube? Remember to give the sensor 25 seconds to warm up.